If you don't have diabetes, you may assume that managing the disease is a simple matter of staying away from sugar, testing your blood sugar and giving yourself an insulin injection. It's not that easy. Putting aside the fears that many people have regarding needles and the finger pricks required for managing this disease, it is much more complicated than simple testing, injections and medications. Diabetes is an individual battle that people fight every day. It differs for everyone regarding what works, what they can eat and which particular outside factors affect them. Corporations can have an impact on their employees' ability to manage their disease, which will ultimately impact their bottom line. Diabetes continues to be a problem for millions of Americans, and its costing us billions of dollars to manage and treat. According to the American Diabetes Association1, over one- third of all Americans will develop type 2 diabetes by the year 2050 unless radical changes are made in our lifestyle and eating habits. Over 57 million people have pre-diabetes or metabolic syndrome with a very high risk of developing diabetes, and over 24 million children and adults already live with type 1 diabetes. 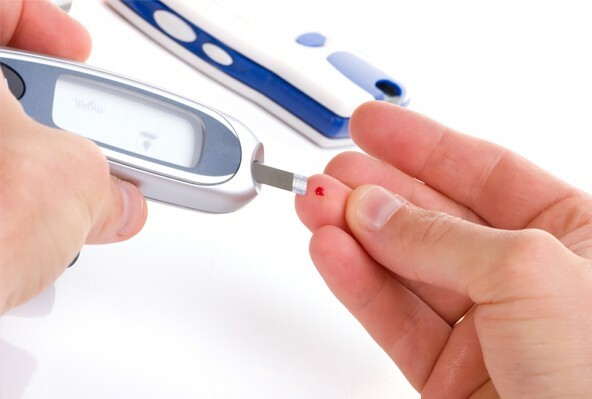 The difficulty lies not only in managing your blood sugar to prevent serious, life-threatening side effects, but keeping your health insurance to cover you if any serious complications arise. If you have diabetes and you aren't paying attention to your glucose levels every day, you could be setting yourself up for severe problems. In 2007 the total cost of Diabetes in the United States was $218 billion. Of this number $44 billion goes toward undiagnosed diabetes, pre-diabetes and gestational diabetes. Diabetes contributed to 231,404 deaths during 2007, and the number continues to grow as more Americans develop type 2 diabetes. Of the remaining $174 billion spent on diabetes each year, $116 billion goes toward excess medical expenditures attributed to diabetes and $58 billion in reduced national productivity. People with diagnosed diabetes have medical expenditures that average 2.3 times higher than the expenditures of those without diabetes. Almost $1 in every $10 can be attributed to diabetes. The indirect costs include absenteeism, reduced productivity and lost productive capacity due to early mortality2. People with diabetes between the ages of 18-64 average 8.3 lost work days per year as compared to 1.7 days per year for those without diabetes. The medical expenditures are significantly higher for diabetics at $10,071 per person and only $2,669 per person for non-diabetics3. Any headway that corporations are able to make in guiding people who live with diabetes toward better management of their disease would offer a considerable cost-savings to the corporation and to the American public. There are so many factors that can affect glucose levels, and many of them are difficult to control. If the pancreas is working just fine, the body handles daily, small changes without any active intervention. Job or personal stress, lack of sleep, skipping a workout, a little too much salt, and obviously, too much sugar can interfere with balanced blood sugar. What if an employee's job is stressful causing a poor night's sleep, or they catch a cold or the flu? Even minor illnesses can cause glucose levels to rise. For diabetics, staying in touch with their doctor during these times is critical when blood sugar levels are difficult to manage. Doctors may recommend additional insulin injections or reduce the amount if the patient is taking oral insulin. Diabetes is an underlying cause in many health conditions, including heart disease and stroke, blindness, high blood pressure, and kidney disease. Maintaining a healthy, stable blood sugar level over time can reduce the risk of serious complications. Watching for stressful situations, which no one can avoid completely, and then making changes to account for fluctuations in glucose levels can mean the difference between saving a person's sight or limbs and continuing to be a productive employee. Diabetes is the leading cause of new cases of blindness among adults ages 20 to -74 and the leading cause of kidney failure. Forty-four percent (44%) of new cases of kidney failure were attributed to diabetes in 2008. In combination with heart disease and stroke and non-traumatic amputations, the downside of ignoring large fluctuations in glucose levels can be disastrous. Every person is different, and this holds true for those trying to manage diabetes. Something that causes a major glucose shift in one person may be barely noticeable in another. In addition, beyond each person's individual reactions, over time those may shift within an individual that require constant adjustments to what may have been stable diabetes maintenance. Providing guidance and help for diabetics dealing with shifts in glucose levels and new symptoms is critical to a diabetic's long-term health and productivity. What Can Businesses Do To Help Diabetic Employees? Develop a supportive work environment so that employees with diabetes feel comfortable adopting and performing the behaviors that promote good diabetes control. Provide encouragement and opportunities for all employees to adopt healthier lifestyles that reduce risks for chronic disease. Demand the highest quality medical care for people who are dealing with diabetes. If corporations decide to embark on a program specifically tailored to diabetes management, one of the obstacles they will face is employee resistance for many reasons. Employees may worry about privacy and not want others to know that they are diabetic. They may not be ready to accept that they are ill and need to seek treatment. Whatever the cause of employee apathy, there are ways to increase employee awareness and participation in a new diabetes management program. Without employee buy-in, the program will falter and fail wasting dollars that could have been saved when employees control their diabetes , reduce absenteeism and lost productivity and reduce complications due to diabetes. The website www.diabetesatwork.org provides tool kits and reference materials designed to help employers start a diabetes management program within their organization. Including the local medical community in your efforts, so that they see the program as an aid to compliance and not competition. Work with other businesses in the community who may be interested in sponsoring specific events or promotions for the program. Invite an educator specializing in diabetes in for a company hosted brown bag lunch to discuss warning signs and symptoms of diabetes type 2 with focus on the importance of balanced nutrition and exercise. Post NDEP flyers and posters and include the NDEP newsletter in the internal corporate newsletter. Advertise the program in internal communications such as newsletters and email announcements. Once employees are aware of the program, the right employees need to be encouraged to participate in the program 5 to really see cost savings from decreases in absenteeism and medical complications, which will raise health care costs and insurance premiums. Make sure that employees know that you value their privacy and information will not be shared with other employees and will not increase their health insurance premium. Develop an incentive program for participation in the program. Financial incentives such as bonuses are effective, but other types of financial incentives can be effective as well. Provide financial coverage for testing supplies and in-house testing or health fairs to encourage frequent testing to control glucose levels. Use in-house activities such as lectures or brown bag lunches and take advantage of national campaigns such as Diabetes Awareness month. Use targeted mailings sent to prospective participants. Most of us deal with little surprises or changes every day and just plow ahead. For diabetics the small changes in blood sugar caused by these little 'inconveniences' could raise blood sugar consistently, leading to serious long term complications and increased health care costs. Insurance companies see people who do not manage their blood sugar well as high risk, increasing the cost of health insurance or raising the chances of losing it. It will take time to see the financial benefits of a corporate diabetes management program, but with sincere effort and commitment, it can reap large rewards, like those recognized by GM with their LifeSteps Initiative6. GM saw a $2.70 to $1 ROI, the reduction or elimination of 185,000 health risk factors and an increase in low risk participants from 55% to 63.1%. Diabetes is not a disease to be taken lightly. It requires serious attention, EVERY DAY, and can't be ignored. Help your employees manage their disease better, so they are in control of their diabetes and keep them happy, healthy and productive! 3- American Diabetes Association, Economic consequences of diabetes mellitus in the United States in 1997. Diabetes Care, 1998; 21:296-309. 4- Centers for Disease Control and Prevention. Making a Difference: the Business Community Takes on Diabetes. Atlanta, Georgia: U.S. Department of Health and Human Services, Public Health Service, Centers for Disease Control and Prevention, National Center for Chronic Disease Prevention and Health Promotion, 1999. NDEP Pub #33. 6- Tim McDonald, PA, Michigan Department of Community Health, Workplace Wellness Chronicles, August 2005. Online at http://www.michigan.gov/documents/MDCH-Chronicles- GM-0805_134908_7.pdf. Maureen Young is a Consumer Education Advocate for ANY LAB TEST NOW, a healthcare lab testing facility. She is a writer, health care advocate, and fitness enthusiast driven to explore advances in the health care and medical industries and share her research with the public.